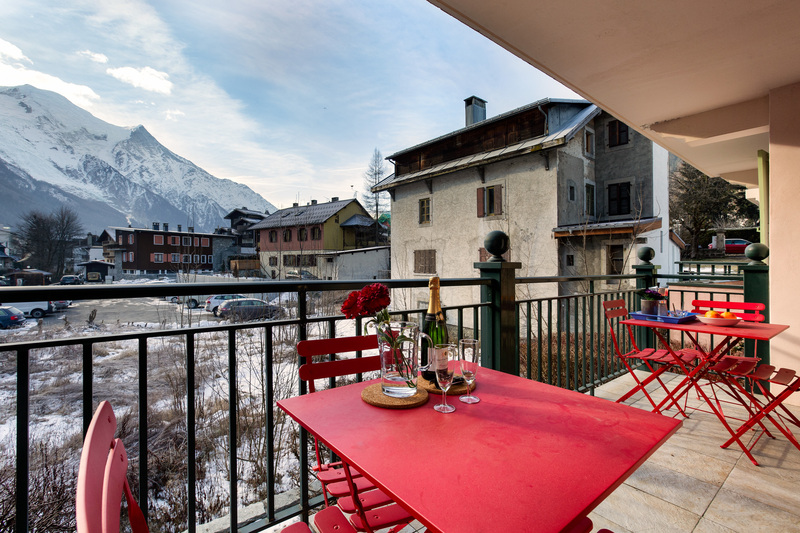 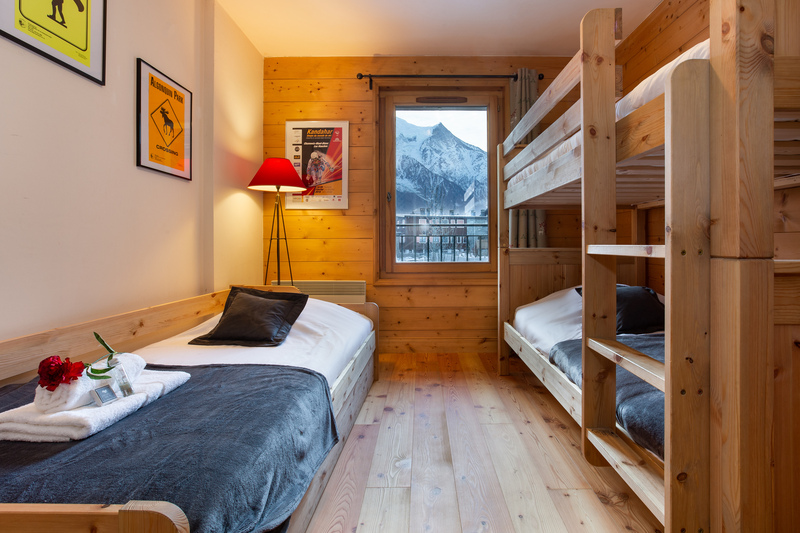 Boasting a central location in Chamonix, this chic balcony retreat sets the scene for a fantastic holiday with family and friends! 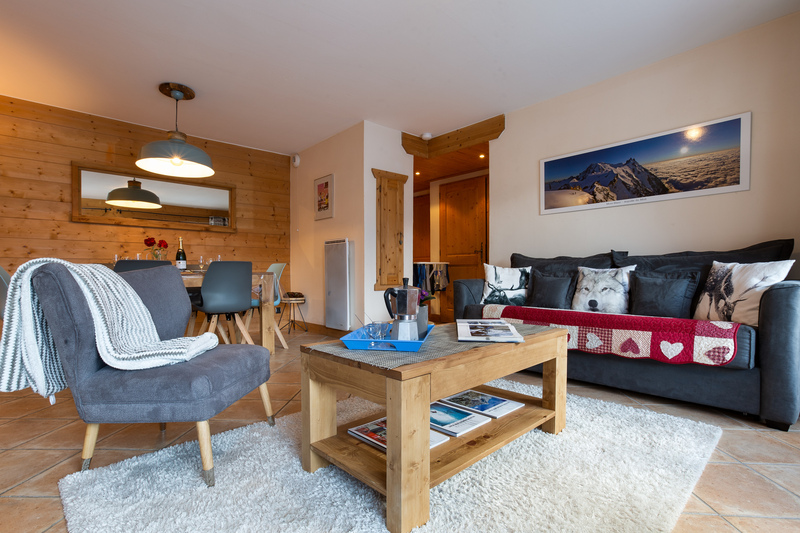 Perfectly placed for enjoying the resort buzz and ski slopes of Chamonix, this gorgeous apartment is ideal for groups of 5. 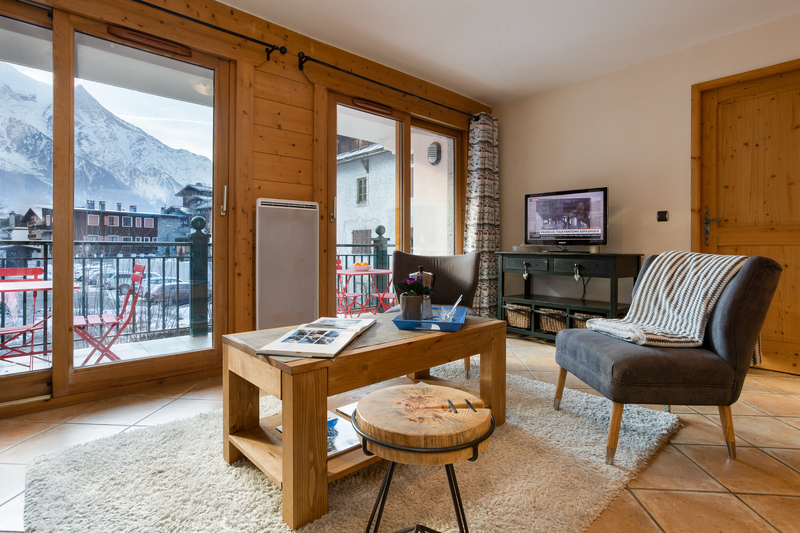 Inside, the inviting WiFi-enabled accommodation benefits from an uplifting modern living space which is open plan, for an effortless flow. 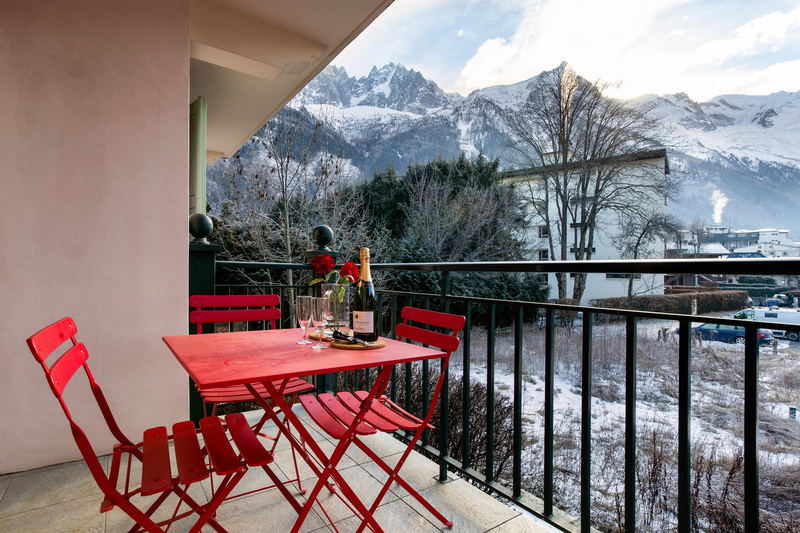 Double French doors lead out to a private balcony with bistro dining set and beautiful far-reaching mountain views. 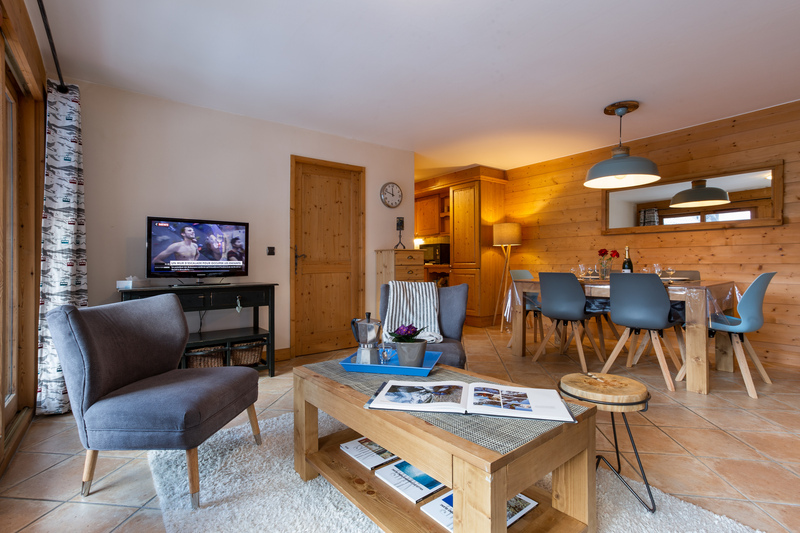 The stylish interior of the living room offers an ambient, restful charm and is complemented by a chic sitting area with flat screen TV, a stylish dining area and a well-equipped kitchen. 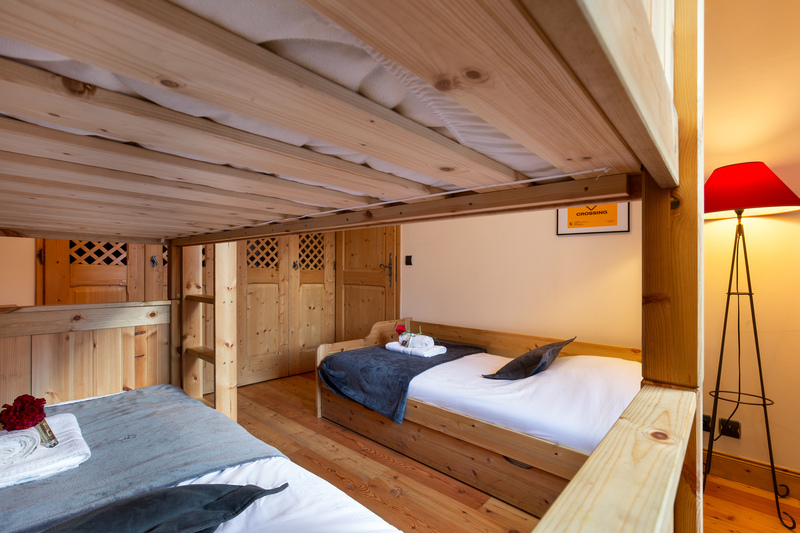 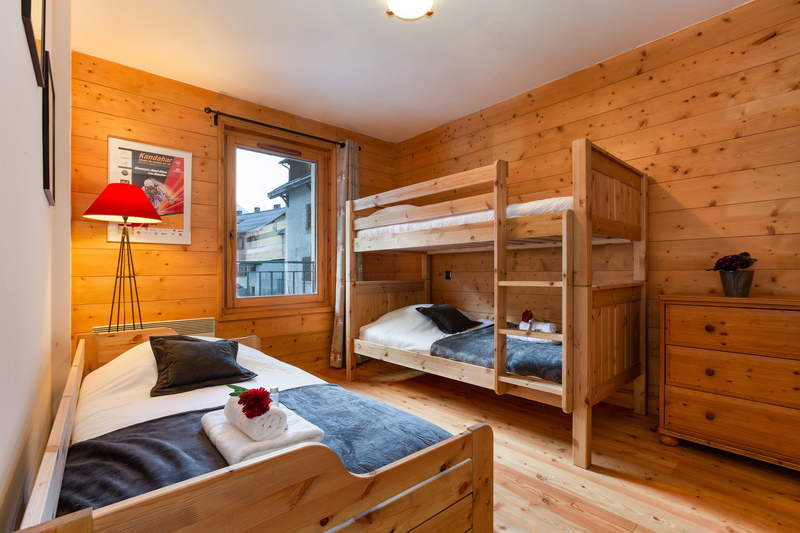 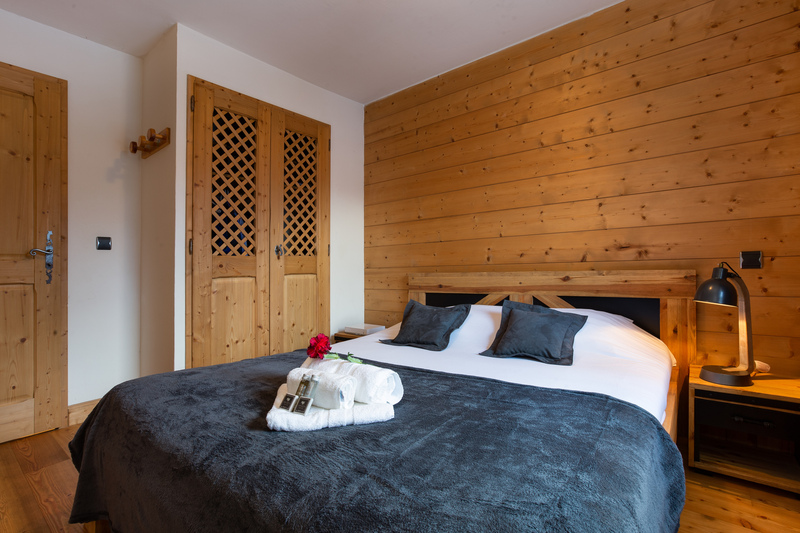 The sleeping accommodation perfectly suits family groups and friends, with a spacious double bedroom featuring alongside a 2nd flexible room with bunk beds and single bed. 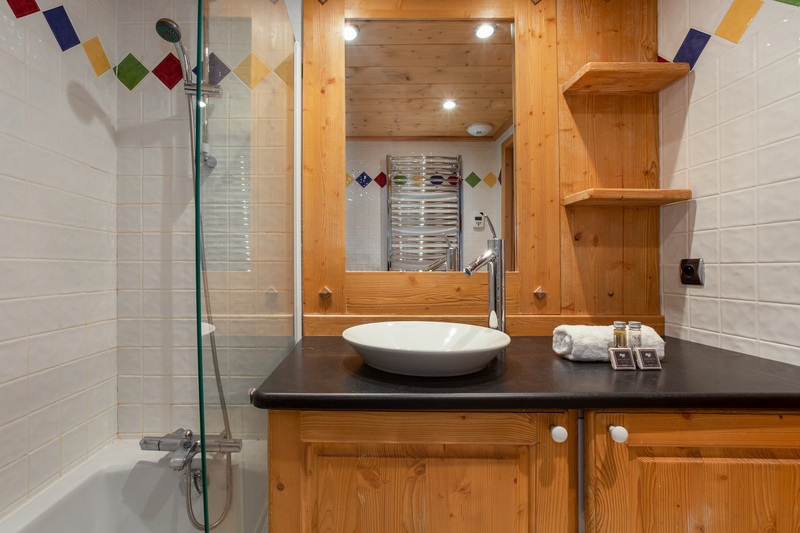 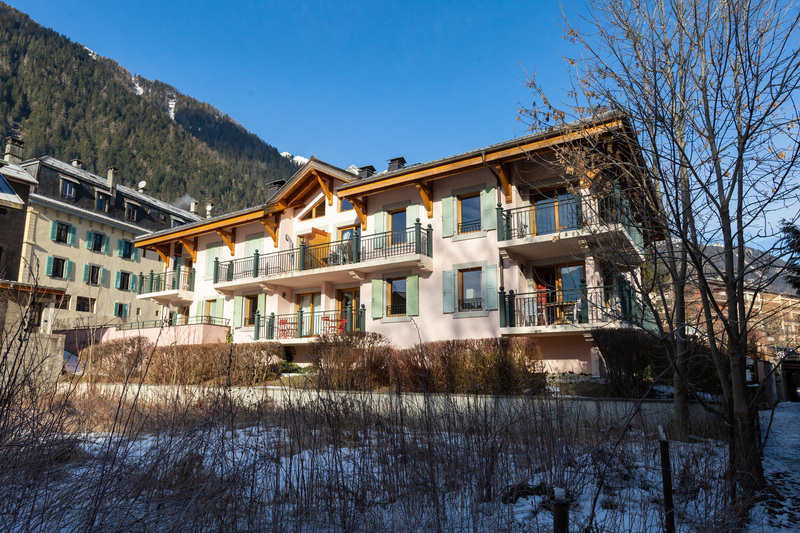 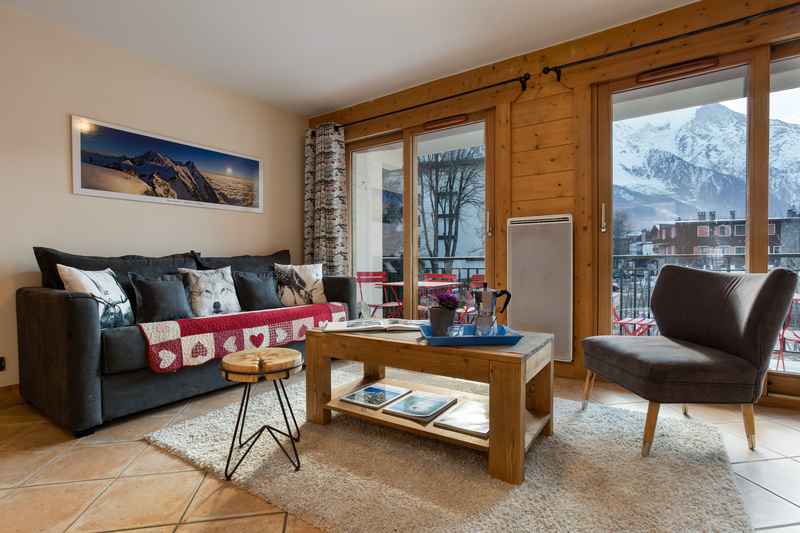 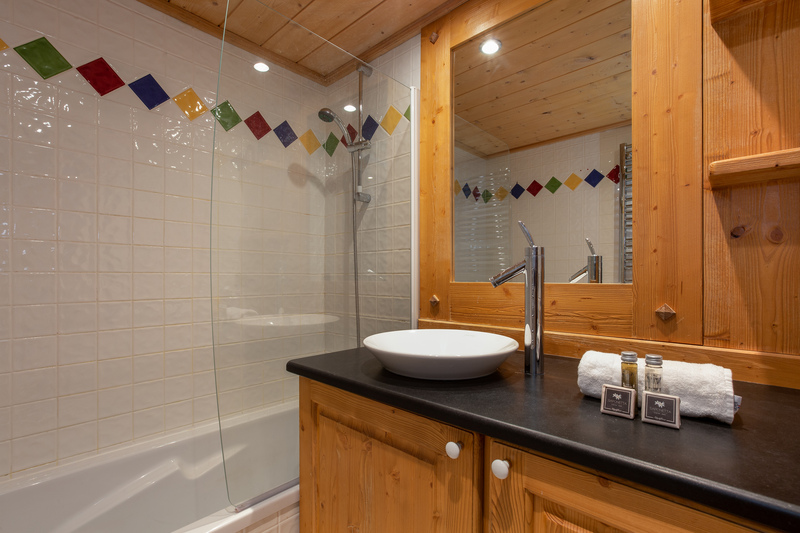 The 2-storey residence offers lift access and a strategic location, 1-3 minutes’ walk from the main high street and year-round amenities of Chamonix. 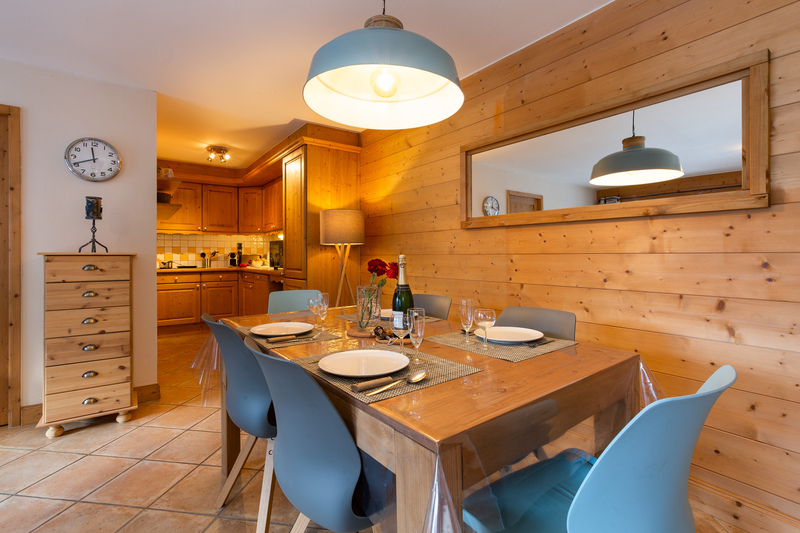 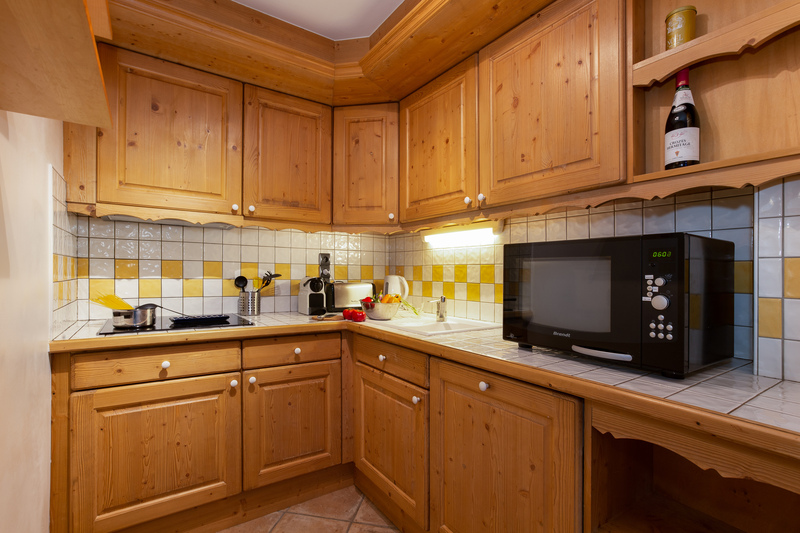 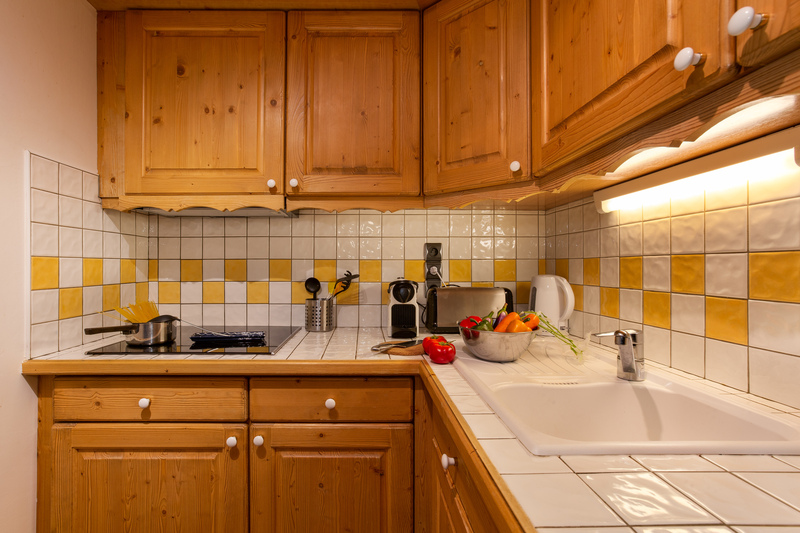 The centrally-placed apartment is also perfect for reaching the cross-country area, the ski lift and slopes of Le Brevent. 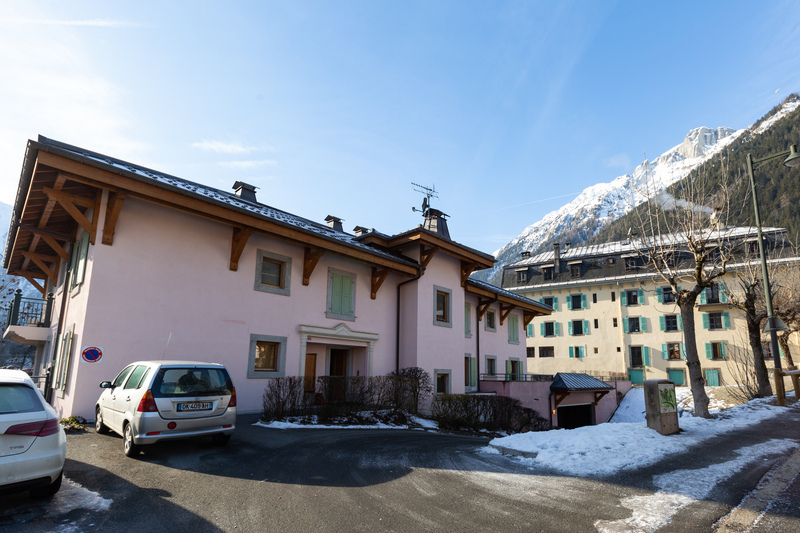 A bus stop is located opposite, whilst a covered, on-site private parking is provided for guests’ use. 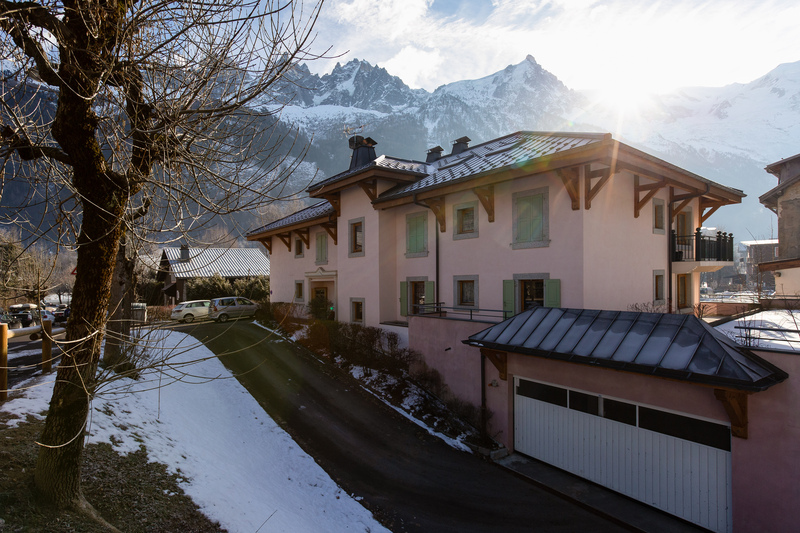 The residence is situated in Chamonix along ‘Avenue de la Plage’, 1-3 minutes’ walk from the sports centre, swimming pool, library and main high street of town; where shops, bars cafes and restaurants await the eager visitor! 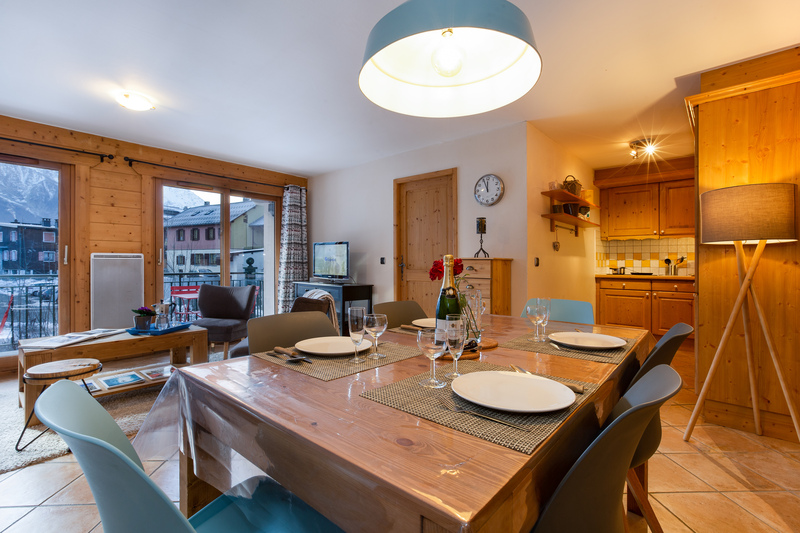 Guests are situated within enviable proximity of a bus stop, the cross-country area and Brevant ski lift and slopes. 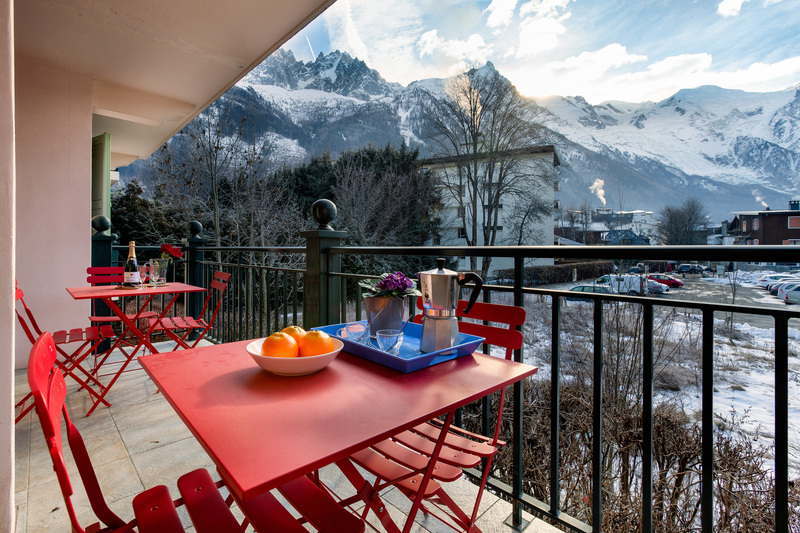 The fashionable year-round resort of Chamonix offers a wide selection of amenities, visitor attractions and public transport links, alongside a plethora of outdoor leisure activities to suit both summer and wintertime holidays. 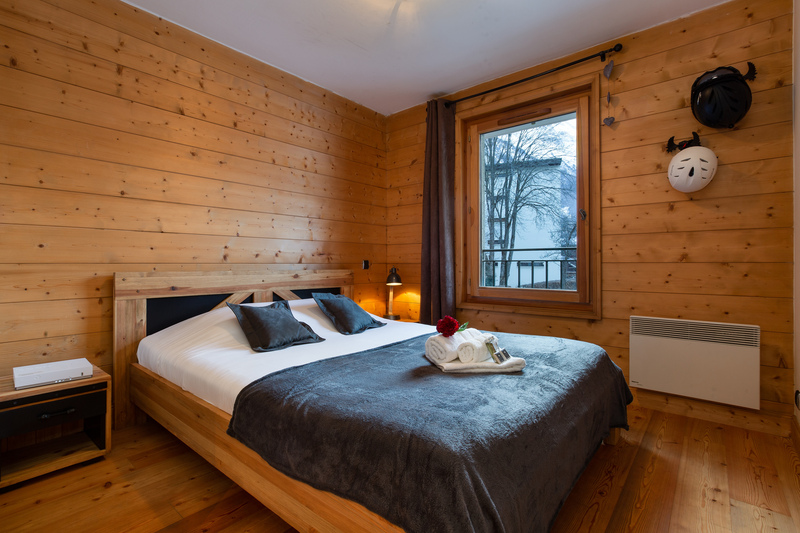 From its carefree location, Geneva International Airport is 71 minutes’ drive away.